The technology of data transmission via power lines is developing on and on. It hasn’t been long since the maximum theoretical transmission speed was 200 Mbps (see our previous review of ASUS PL-X32M); however, now in our lab there’re devices that broaden the limit of the maximum speed to unbelievable 500 Mbps. This is the maximum theoretical speed. 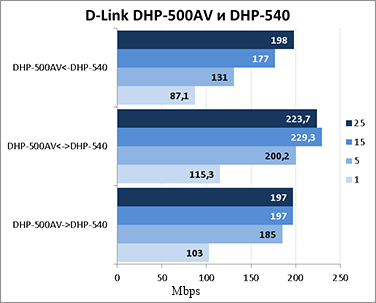 In this review we’re going to find out what real speeds are available to the users of DHP-500AV (PowerlineAV 500) and DHP-540. However, first things first! 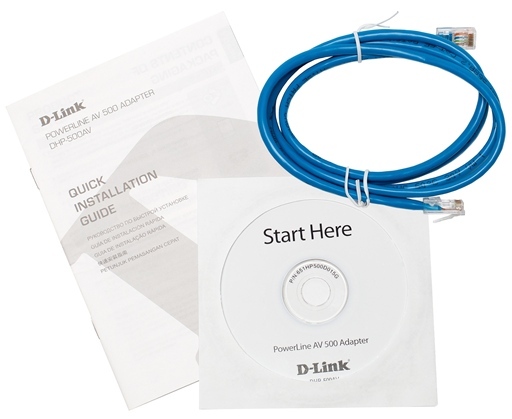 D-Link DHP-500AV is sold in an individual package, i.e. to set the first Power Line network one will have to buy two such devices. 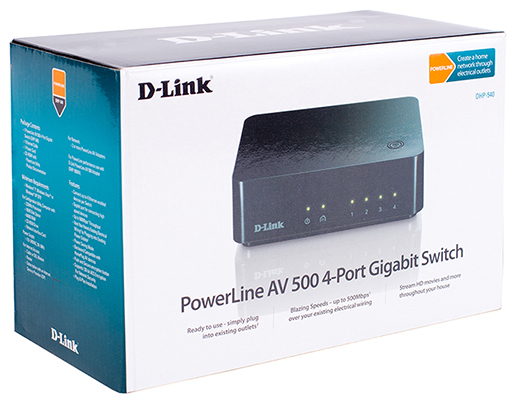 It’s also possible to use other models like DHP-540 that has a gigabit switch with four ports. 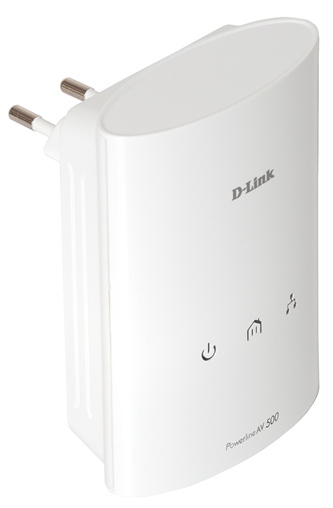 Besides separate devices the D-Link Company provides full sets: DHP-501AV and DHP-541. 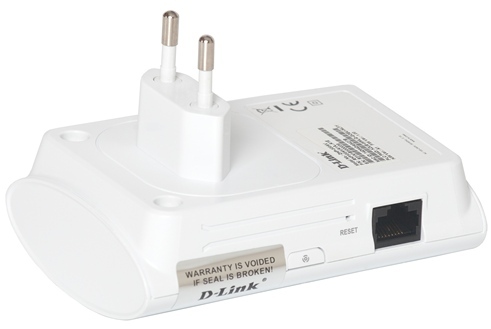 DHP-500AV is performed in a white plastic case of the following dimensions: 100х70х71 mm. The mass of the model is 150 gr. 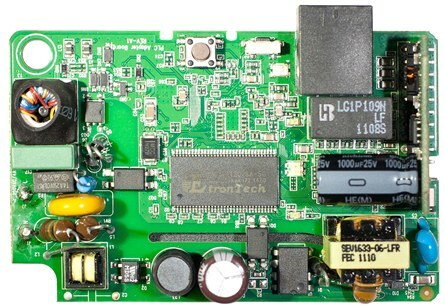 The front panel bears the name of the model and the vendor’s names as well as three LEDs indicating the device status and the connections to the Power Line and Ethernet. The other side is basically a plug for connecting to the power line; also there’s a sticker with brief information about the device. The upper surface and the bottom are quite featureless. On one of the side walls there’re buttons for providing network protection (setting up secure device peering) and resetting user settings (Reset). Also, here’s an Ethernet-port. Now let’s look inside the device. 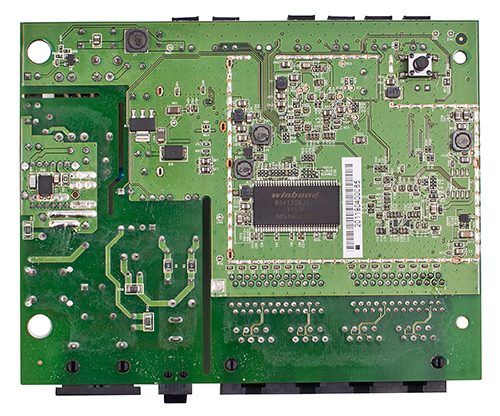 DHP-500AV hardware consists of two perpendicular boards made of green textolite. The main board is two-sided; only, most part of one of the sides is hidden under a metal screen. On the other side one can only see an EtronTech EM6A9160TSA-5G 200 MHz RAM module of only 16 Mbytes. 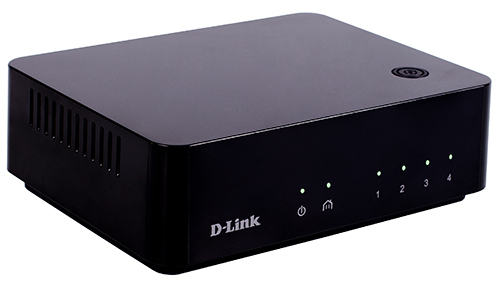 The dimension of the D-Link DHP-540 case are 132х103х42 mm; it’s made of shiny and matted black plastic and its mass is 250 gr. 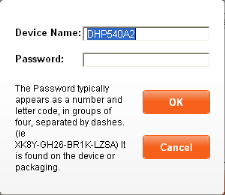 The upper surface has only one button whose function is to set up secure device peering. The device side walls are a ventilation grate. Status LEDs of the device on the whole and of the Power Line and Ethernet ports are on the front panel. On the rear panel there’re four Gigabit Ethernet ports, a power on/off button and a power slot. 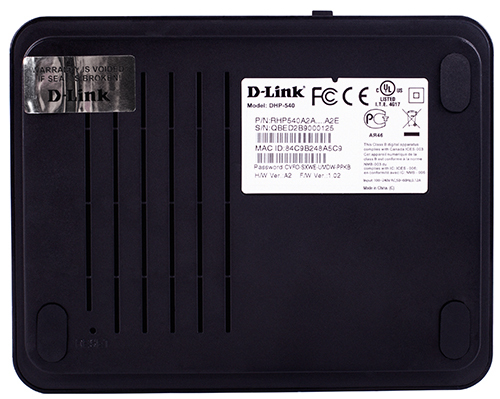 It’s with the help of this very slot that the device is connected to the PowerLine network. 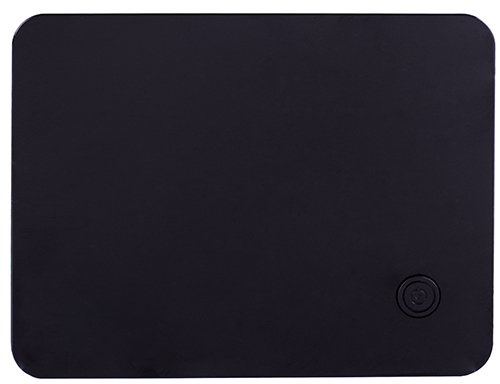 The DHP-540 bottom has four rubber stands, a ventilation grate, a sunk Reset button for resetting user configurations and a small sticker with some information about the model. 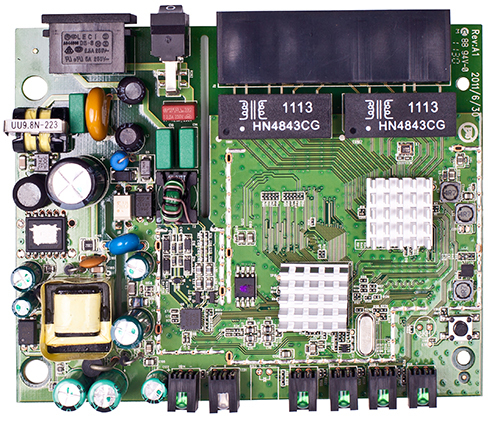 DHP-540 hardware consists of a single board of green textolite. 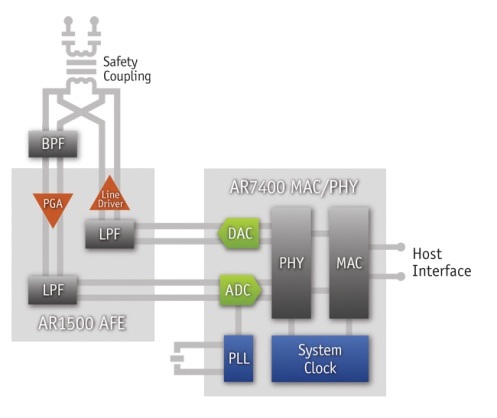 The Powerline part of the device is provided by an Atheros AR7400-AC2C chip the block-scheme of which is presented below. 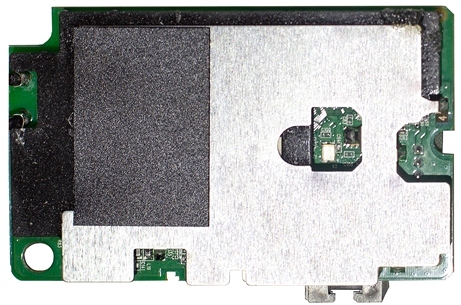 An Atheros AR8327N module is used as a Gigabiit Ethernet switch. 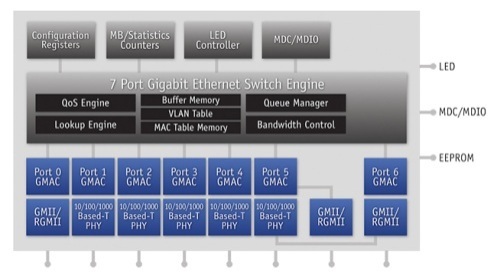 The diagram of this module is below. RAM is provided by a 16 Mbytes Winbond W9412G6JH chip. Now let’s see what the adaptors’ software is like. 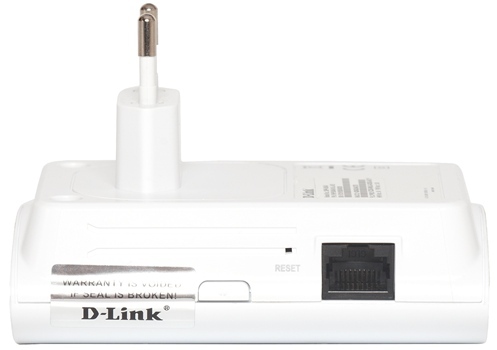 Both Powerline adaptors are managed with the help of special utilities (there’s no web-server or other management interfaces), supplied together with the device. Unfortunately, these utilities are unavailable for downloading from the vendor’s site (when the article had been published the given utilities appeared on the vendor’s official FTP-server). 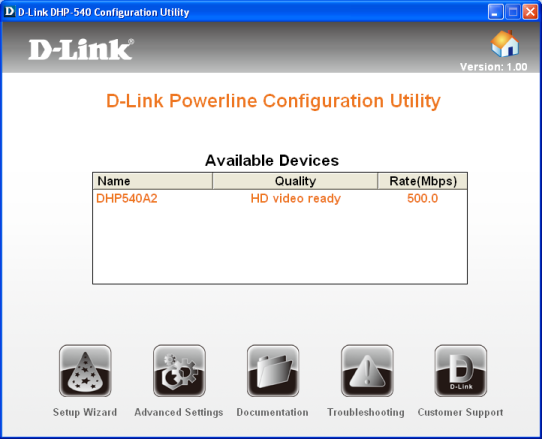 Also, it should be mentioned that we were unable to make the DHP-540 utility detect our wired network running on the Microsoft Windows 7 x64 operating system, though software for DHP-500AV readily did the same thing. 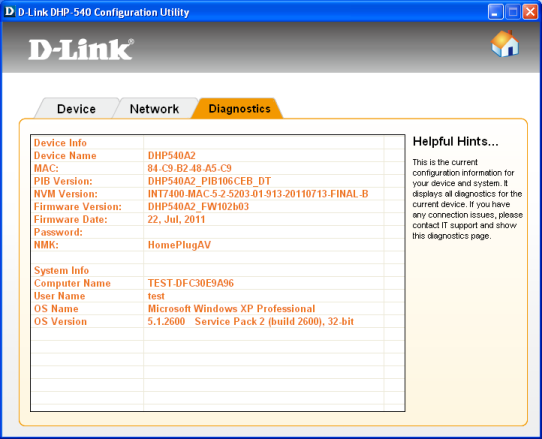 The DHP-540 Configuration Utility successfully worked with the Windows XP x32 operating system. 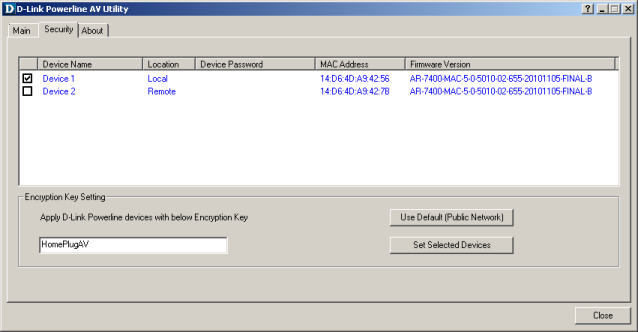 Having started, both programs readily detected PLC-devices in the local segment and displayed brief information about them. 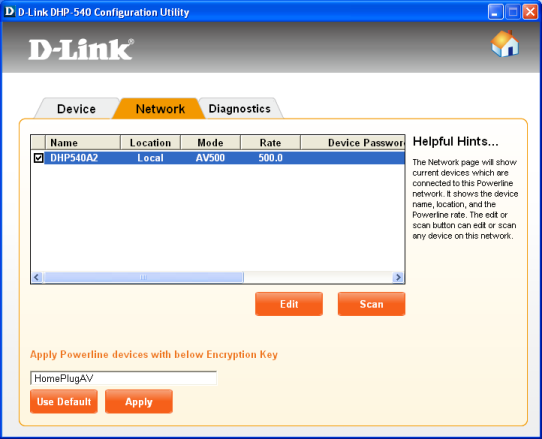 Also they allow setting up passwords for protecting data transmitted via the Powerline network. 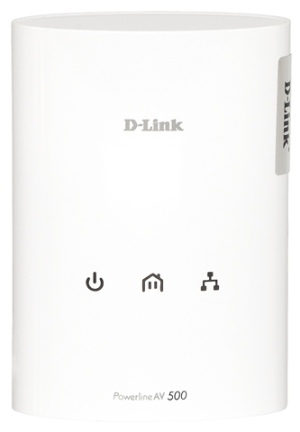 D-Link Powerline adaptors don’t have any additional settings and are intended only for home use. 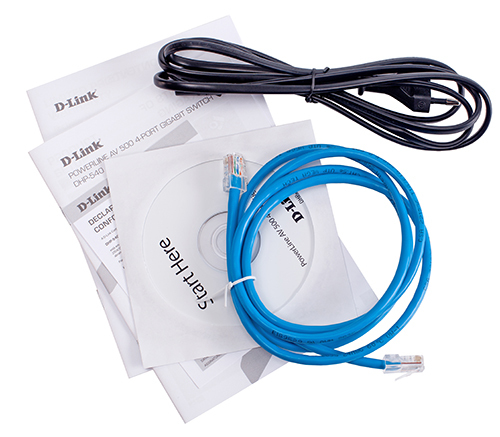 For instance, we think that support of several VLANs would be in demand even in small offices’ networks. 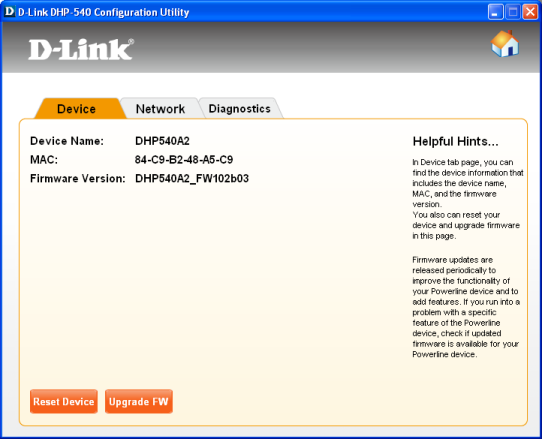 Firmware upgrade is performed with the help of the “Firmware Upgrade” button on the “Main” tab for DHP-500AV and of the “Upgrade FW” on the “Device” tab for DHP-540 in their corresponding utilities. We asked the vendor to provide new firmware versions and tried to run an upgrade. For the DHP-540 adaptor the procedure ran smoothly. 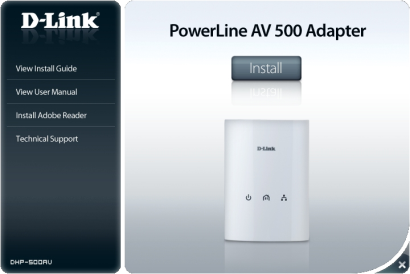 On the contrary, with DHP-500AV a problem occurred: the Powerline AV Utility version 2.03 that goes together with the device demanded two files (PIB and NVM) to start the upgrade whereas the firmware contained only one BIN-file. 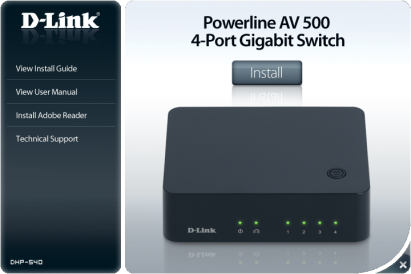 We asked the D-Link Company technical staff to comment on this; as a reply we received a new version of the Powerline AV Utility – 2.13 with the help of which we were able to upgrade the firmware of DHP-500AV. The whole upgrade process takes no more than a minute. The first traditional test we always hold is determining the device booting time. However, this time somewhat changed the definition. In this case under the booting time we mean the time interval between turning power on and receiving the first echo-reply via ICMP from a device located behind the booting PLC-network. The DHP-500AV/DHP-500AV pair boots in 5 seconds. Then we moved to measuring data transmission speeds. During testing the devices were placed close to each other, so we consider these conditions ideal for data transmission. If the devices are father from each other the speeds naturally decrease. Also, we noticed some asymmetry in data transmission rates with simultaneous connections in both directions. 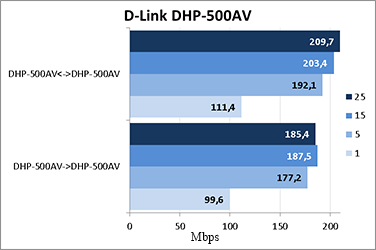 The DHP-500AV->DHP-540 direction turned out to have higher performance. For each DHP-500AV/DHP-500AV and DHP-500AV/DHP-540 pair we measured transmission speeds for one, five, fifteen and twenty simultaneous TCP-sessions with the help of the JPerf 2.0.2 utility. The measurements results are presented on the diagrams below. We certainly give the parameters of our testing stand. Here we’re through with the testing section and are moving to making conclusions. 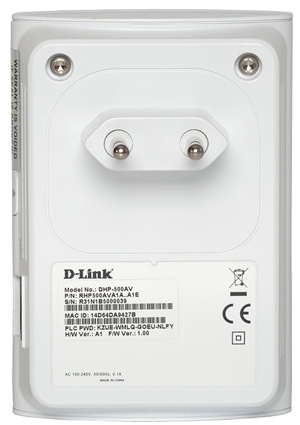 The PLC-adapters DHP-500AV and DHP-540 that we tested made a pleasant impression on us. 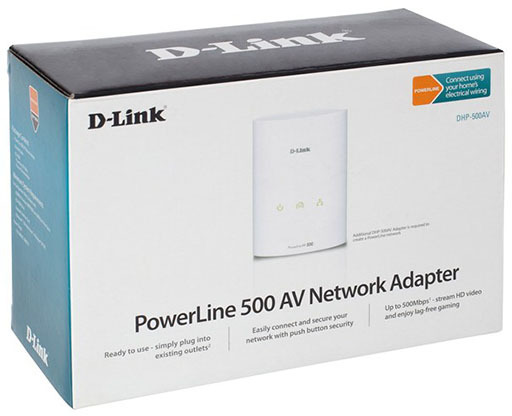 These are normal network devices for home use without corporate features, which played its role in their price. Unfortunately, we can’t but point at the disadvantages. When the article was being written the average price for DHP-500AV and DHP-540 in Moscow online shops was 1500 RUB and 2200 RUB, respectively.